Equipped with the automatic transmission, a 240D Mercedes is about the slowest car you can drive around without people looking at you funny. Well...maybe people will still look funny at you, but I've logged many miles behind the wheel of both manual and automatic transmission equipped W123s and I can tell you the slushbox is serene but it is dragging boat anchor while 22 year old burro pulls an oxcart up Pikes Peak slow. 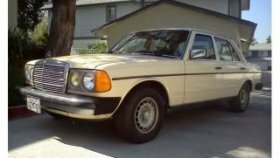 Find this 1981 Mercedes-Benz 240D offered for $2, 000 in Pomona, CA via craiglist. 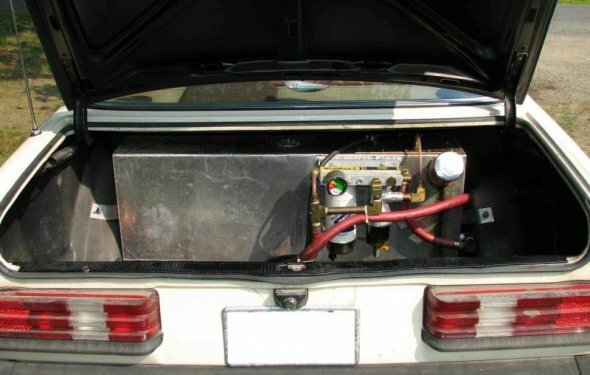 The interior of the W123 needs little introduction or description because it is built from MBTex- which is Kevlar-like in its ability to be bulletproof.